I got my mom a dozen white roses (her favorite color). I took a picture of one today. They are really starting to get pretty now that they're opening up. Well, I'm going to get back to my stitching! :) Write later! That rose picture is beautiful. I think you learned something in that photo class! Glad everyone feels better. 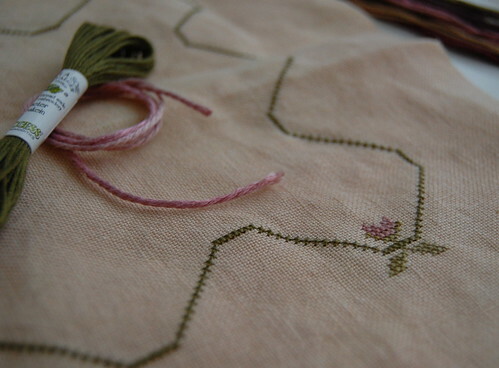 Beautiful stitching and beautiful pictures as always! That rose is so beautiful! Those photo lessons have really paid off Nicole. They are two beautiful pictures you've taken. That rose is such a spectacular shot. Glad everyone's feeling much better too! Such pretty colours in your Family Sampler. Glad everyone feels better. 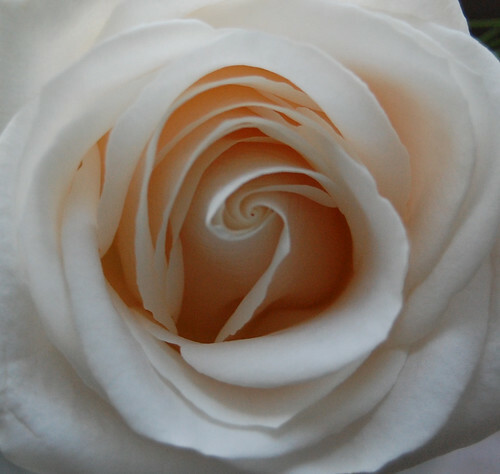 Love that rose photo - gorgeous! The SB Family Sampler is sooo pretty - great start. A Finish and Some Stash!